DesignLubloy at DDN magazine | 2009.07.31. 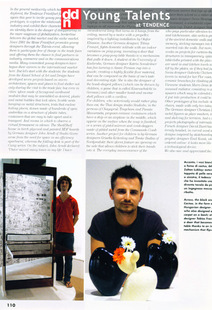 Cactoo vase has lot of press, needles to say it was published in the italian based design magazine as well. All young designers who had interesting ideas was selected to the article, illustrated to the design friends.